The leader of Libya's UN-backed government, Fayez al-Sarraj is a trained architect who has for years struggled to political and economic crises to rebuild the North African country. A businessman who spent years working in both private and public sector roles, 59-year-old Sarraj entered parliament in June 2014. But just two months later, an alliance of militias took control of the capital Tripoli, forcing the government and newly-elected parliament to flee to eastern Libya. Sarraj fled to Tobruk, where the parliament remains to this day, while his architect wife and their three children moved abroad. He began following in the footsteps of his father, Mostafa, who had an influential role in creating the state of Libya after independence in 1951. Described as "very calm" by a childhood friend, the younger Sarraj grew up in a wealthy family which had business interests and land in Tripoli. 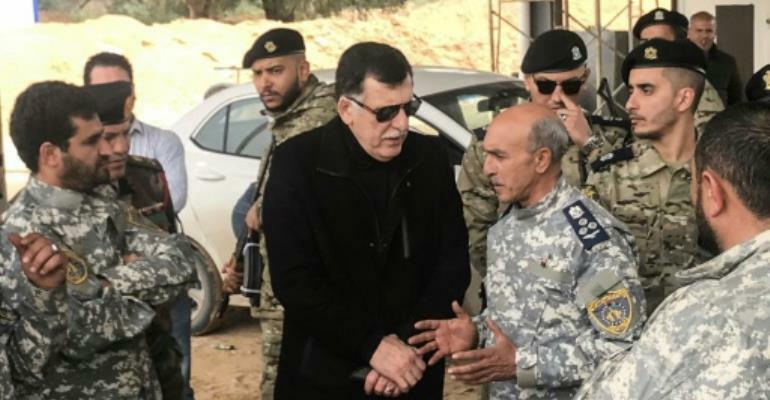 A political novice following the ousting of dictator Moamer Kadhafi in 2011, Sarraj rose to international prominence in December 2015 when he was picked to head the UN-backed Government of National Accord (GNA). After years of chaos and violence following the uprising, he was tasked with putting state institutions in order and launching a reconciliation process. But his premiership got off to a shaky start, seeing him stranded in Tunisia until April 2016 when a Libyan naval vessel brought him to Tripoli. Early success saw Sarraj rally the country's economic and political authorities. But he failed to gain the support of the administration in the east, which is backed by his main rival Khalifa Haftar. Just months after taking the helm, forces loyal to the GNA retook the city of Sirte from Islamic State group jihadists in December 2016. But the government has proven unable to establish a regular police force or army, and militias remain a powerful force in Tripoli and across western Libya. Sarraj reached agreements with armed groups in the capital to secure relative stability, but some analysts say such dealings have made him a hostage to militias. The few positive developments under the GNA have been overshadowed by numerous failures, particularly the government's inability to improve daily life in Libya amid insecurity and ongoing economic hardships. While Sarraj has floundered despite ongoing United Nations support, in the east Haftar and his self-styled Libyan National Army have gained in strength. Haftar, a former army officer, has picked up a series of foreign backers, including Russia, Egypt, the United Arab Emirates and Saudi Arabia, and this week his troops advanced towards the capital.